Mounted Posters is rated 5.0 out of 5 by 2. Popular sizes: 24" x 36", 16" x 20", 22" x 28"
Rated 5 out of 5 by Green from Great quality! I purchased a mounted poster and quality was great and turn around very quick! 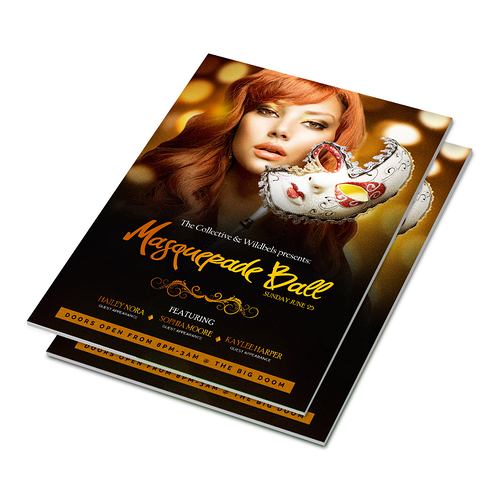 Mounted poster printing makes it easy to have durable promotional pieces for the extent of a marketing campaign, or artwork reproductions for your home and workspaces. They excel as POP signage, for sprucing up waiting rooms, and for promotions in retail spaces. Mounted prints also excel as a format for anywhere you would use regular posters. Artists can even use this format for durable reproductions. These posters are printed and mounted on a thick, sturdy backing made of your choice of lightweight styrene material--which works well for long-term indoor use, or durable white PVC board for heavy handling and outdoor use. Our largest poster board size is 24” x 36”, making them great for high-resolution advertisements and art reproductions. Like regular posters, they’re also perfect for marketing pieces. Unlike regular posters however, mounted posters have a finished look that requires no additional framing and are more durable, making them suitable for a variety of situations that would cause normal posters to rapidly deteriorate. Mounted posters are perfect for temporary outdoor “open house” signs or as tough, tamper-resistant displays at trade shows and conventions. They are popular with advertising agencies as general-purpose outdoor ad platforms. They’re also a hit with fashion houses, film producers, and other creative businesses for the flexibility offered by the water-resistant PVC material. Print mounted posters easily. Download our templates in the file format you need to account for bleeds, trims, and safe zones. This will ensure accurately trimmed and printed mounted posters. Contact us to learn more about poster board printing.